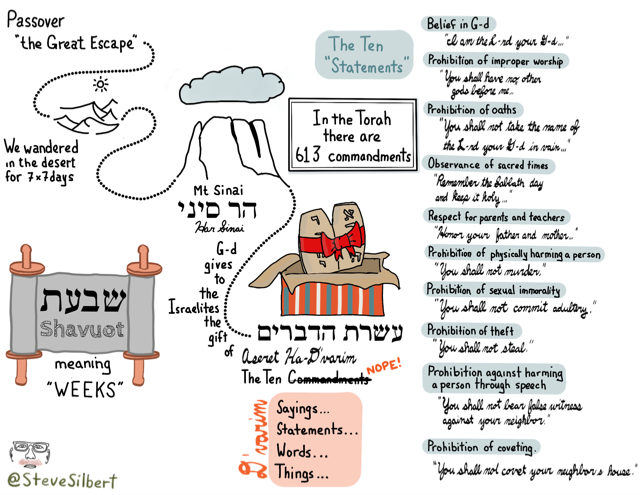 The Jewish holiday of Shavuot was on May 30 (this year). It’s two-fer holiday. It marks the biblical giving of the “Ten Commandments” at Mt. Sinai. It’s also an ancient harvest holiday that marks the end of the grain harvest. Shavuot means “weeks” and is named such because it marks the end of 7 x 7 days (seven weeks) of wandering in the desert and arriving at Mt. Sinai. The holiday happens on Day 50.